Posted on June 4, 2018, in Arduino, IoT, Python, RabbitMQ, Technology and tagged Arduino, Docker, grafana, influxdb, IoT, mosquitto, mqtt, Python, Raspberry Pi. Bookmark the permalink. 3 Comments. 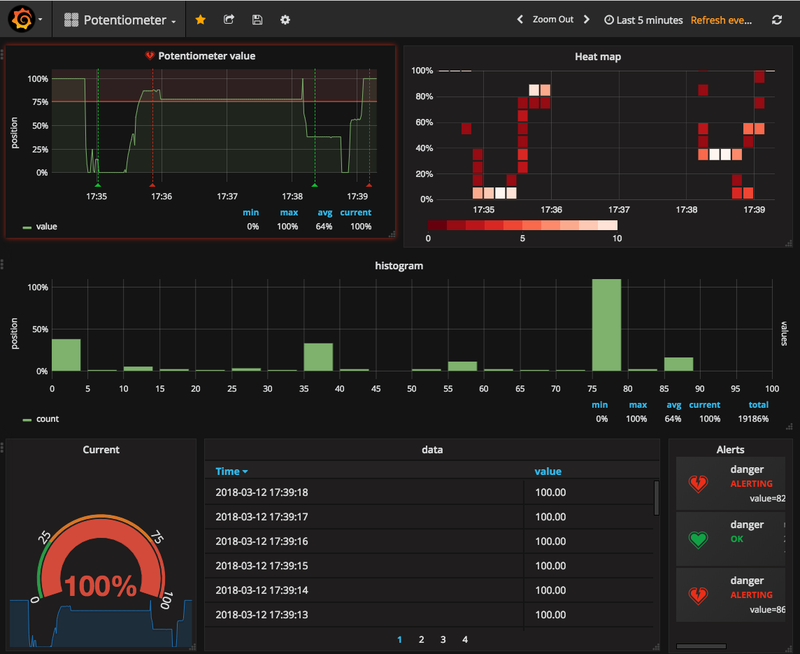 Hi, do you have a grafana.json backup of this dashboard? I built this, but am having trouble getting the query to show.